Home F-National STOP IT! 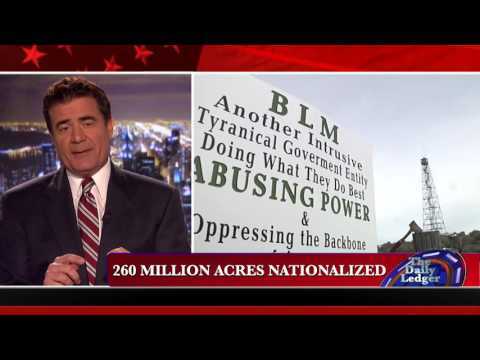 Let There Be No Massacre at Malheur! Burns, Oregon is a small, isolated town that reminded me a lot of isolated communities in Alaska. When you’re there, you feel like you’ve arrived at the end of the earth. I’m not much of a mingler but most of the local people that I did meet were strongly in support of the stand that was being taken at the Malheur Headquarters. We heard stories of corruption, impossible suicides, murders that went unprosecuted even when the murderer was known. In a small town like Burns where everybody knows everybody – or they know about everybody, it doesn’t take long before the locals know who did what to whom, when and how. A few days before Christmas, I spoke with Ammon Bundy on the phone. I offered to help him put up a website with the full Hammond story so that people would not have to search his family’s blog for it. I wanted the story to be fully and easily accessible to people who were interested because it’s tragic what was done to that family. We agreed to talk about it after the holidays but of course, he didn’t call me and now I understand why. Ammon Bundy is a good man. He’s typical of people who grew up in the west where hard work is the norm – not the exception. For ranching families like the Bundys and the Hammonds, life is real. Every day spent on a cattle ranch might be a day when you die for a myriad of reasons. People who live like that grow up without knowing nuance, treachery, guile, intrigue. It’s for that reason that I do believe that Ammon Bundy and his brothers who are also at Malheur were provocateur’d into this action. They are going to make an example of the Bundys because they dared to stand up for their rights on the Bundy ranch and they had supporters who defended those rights. I’d look for the main event to occur on 1-9-2016. 1’s and 9’s are the magic numbers in the bizarro world in which we all now live. And I’m going to add – even though people will think I’m crazy as a hoot owl, the oddity of the original federal indictment of the Hammond family had 19 charges that were reduced to 9 charges in the superseding indictment. The numbers of charges in both indictments were overkill and attorney time is precious even to the government. In July of 1990, the G7-G8 Summit was held in Houston, Texas. One of the decisions published in Summit Reports was a decision by the Paris Club to implement a plan to reduce third world debt – at least that’s how it was described in the report (See Item 72). The plan allowed corrupt politicians to trade land and assets in their countries under a program of swaps called debt-for-nature and debt-for-equity. The plan is known as the Houston Terms. More info and original source links can be found HERE. The concept of “Debt-for-nature exchange” was put into U.S. law in the Global Environmental Protection Assistance Act of 1989 implemented into law Title 22, Chapter 32, Subchapter I, Part VII, Section 2281. The Paris Club was established in 1956 to manage the debt obligations of developing countries. Interestingly, when I did my original research, there were 19 permanent member countries. They now say there are 20 permanent members – but I’m staying with the 19. On September 11, 1990, George Bush gave his New World Order Speech and Morocco became the first country to accept the Houston Terms. Precisely eleven years to the day, September 11, 2001, the United States was attacked and the world has not been the same since. New does not necessarily mean good but it does mean different. When I was researching the relationship between trade agreements and the disease of radical environmentalism that seems to have gripped our nation, I found a reference to a book called Greening NAFTA, The North American Commission for Environmental Cooperation so I bought it. It was published by the Stanford University Press in 2003. At the time, Patrick Woods was writing his book, Technocracy Rising and he was consulting with me on some aspects of it. I told him about the book, he bought it and found something incredibly important in it – a concept called Reflexive Law in academic circles. I put together the concepts from his article and the information that I was working on and wrote something called: The Case for Citizen Grand Juries. The gist of Reflexive Law is that regulatory agencies of government are using the appearance of lawful authority when they have none. They can get away with it because the regulatory agencies of government are self-contained Administrative Systems in which any regulatory action they take and any appeal of that action is within their own Administrative System. Simply put, they are regulators who are enforcers, judge and jury of their actions and executioner to enforce their will. In this kind of system, they don’t have to act lawfully because they will exhaust you financially and emotionally before you can even get into a court of law – even if you could afford it. And if that fails, they can simply call out the dogs of federal law enforcement to take you down because LEO responds to Reflexive Law in the same way that citizens respond. The U.S. Attorneys office shouldn’t aid and abet in the application of Reflexive Law – but they do and in all probability it’s because they are in the position of assisting in the enforcement of international agreements while at the same time, being responsible for upholding American law. Something has to give when there are conflicts and it’s easier to take out a Cliven Bundy or a Dwight Hammond or a Jack Yantis than it is to do battle on the international stage. It’s pretty clear now that the trade agreements the U.S. has signed were designed to sell the assets of our country out from under us by proxy through international agreement. “Debt-for-nature” explains the inexplicable government action to put ranchers out of business. And for these reasons and more, I do believe that Ammon Bundy and his brothers were set up for the occupation of Malheur and what is looking like might be a very public slaughter as a lesson to other ranchers and citizens who attempt to take a stand against an increasing criminal government. 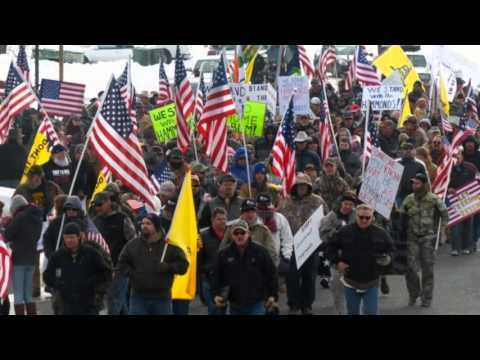 The only hope to avoid a Massacre at Malheur is to establish a People’s American Common Law Grand Jury to investigate the systemic corruption that has overtaken our government at all levels. The Harney County Committee of Safety needs to vote to stand up the Common Law Grand Jury with 25 people. Those 25 people then need to vote immediately to cease all law enforcement action against the people at Malheur until a full investigation is complete. If that happens, I have no doubt that the men at Malheur will surrender to the Grand Jury and the event will end peacefully. And if that doesn’t happen, then God help us all.